Exciting News!!! 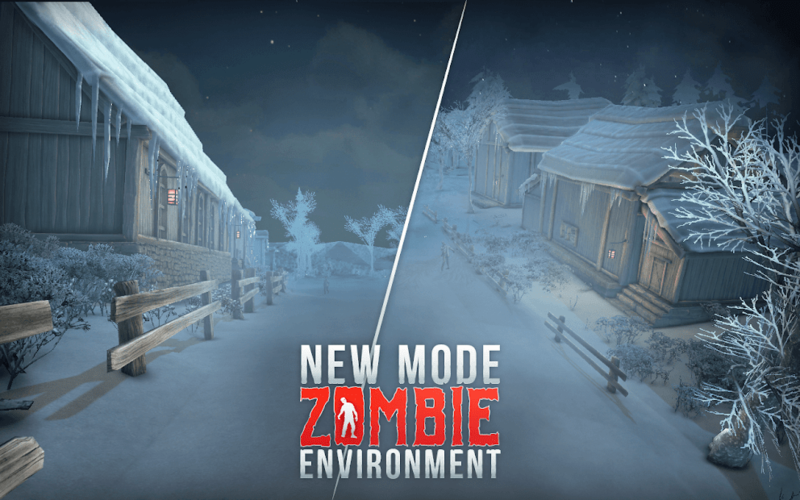 Zombie Survival Mode has been added as Halloween is approaching. 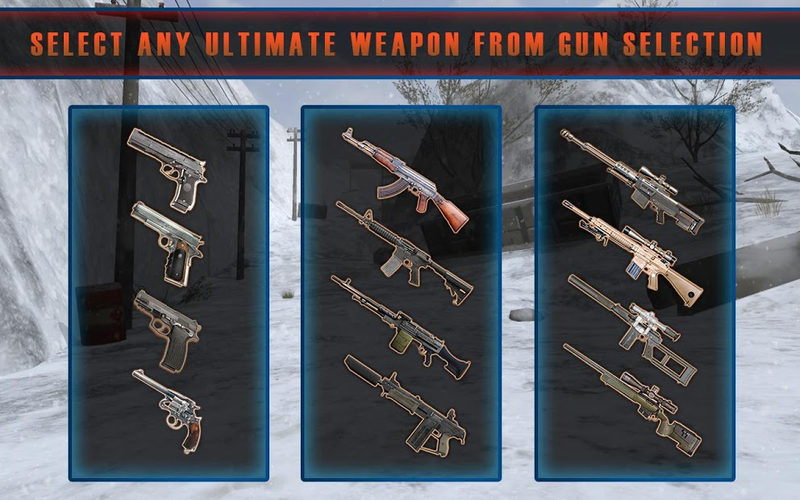 Get your favorite weapons from mystery boxes placed all over the place. 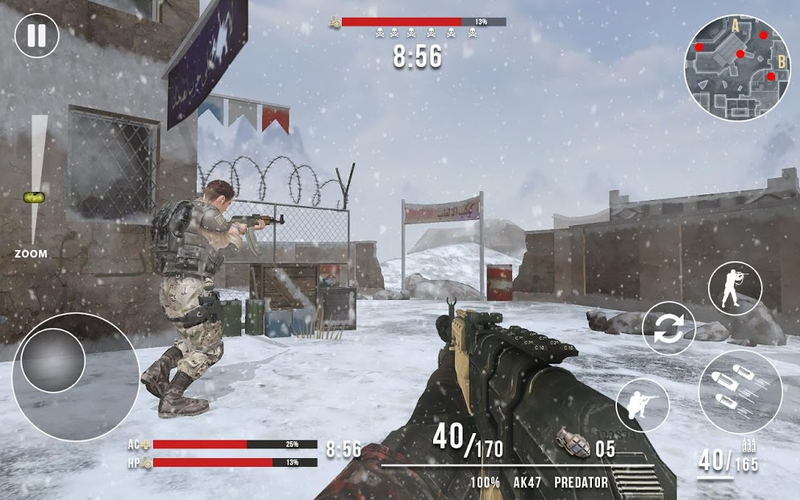 Gear up to play the ultimate world war as amazing war commando shooting hero hunting terrorists and keep shooting as free global war duty. 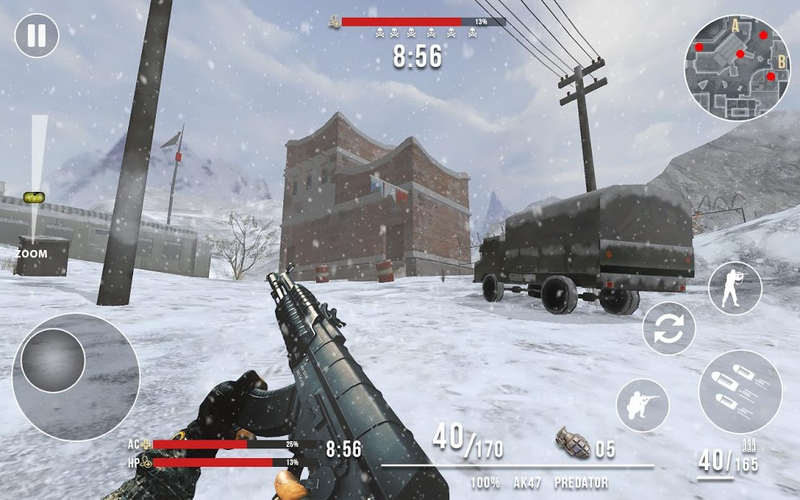 Go on shooting first with fast bullets with precision at enemy troops in the cold weather by selecting different weapon from artillery and complete each mission to win the war. 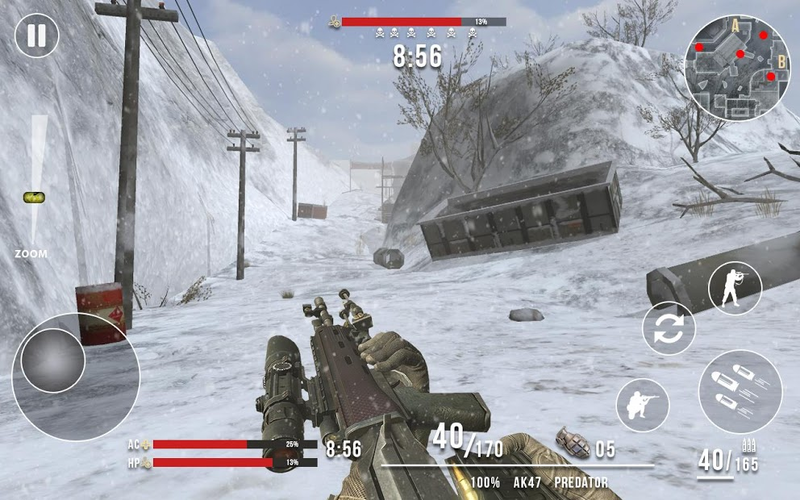 Download this intense free to play online android game and apply your awesome sniper skills to defeat opposing team. 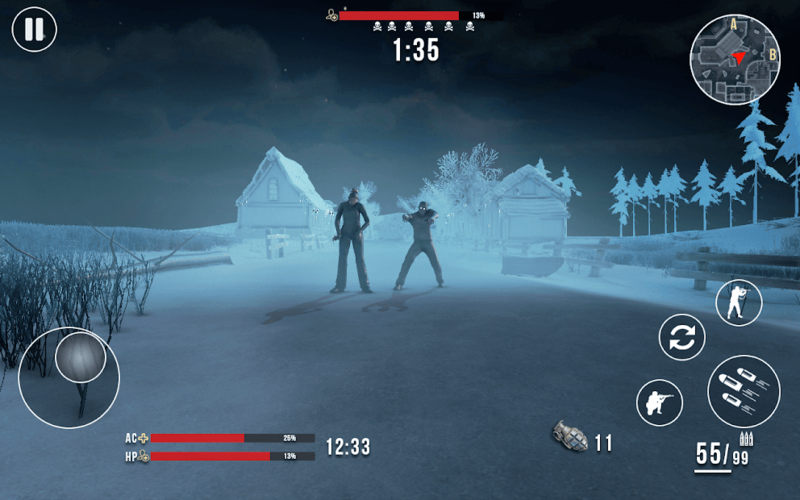 Follow the gaming rules if you want to be victorious in this fight between powerful armies in winter season. 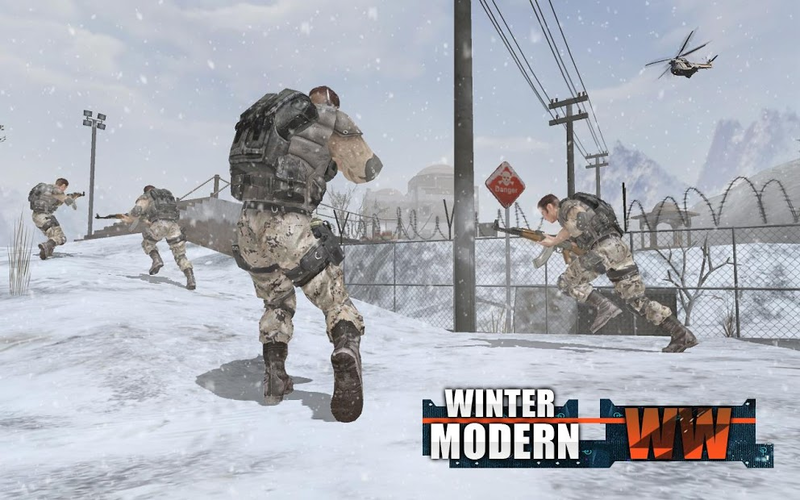 Modern World War Winter Chapter has unique features and optimal gameplay for FPS game players. It has amazing 3D graphics for fighting and artillery choices to select M1911, MPS, AK47, M4, short-gun, sniper rifle and many more. Numerous missions and assignments must be achieved. This game has smooth controls that are easy to handle for precise shooting. This game also has astonishing sound effects and background music for shooting in war ground.